TripAdvisor has consistently, year after year, awarded us their Certificate of Excellence Award! This prestigious award places us in the top-performing 10% of all businesses worldwide on TripAdvisor and is only given to businesses that consistently earn high ratings from TripAdvisor travelers. To qualify for a Certificate of Excellence, businesses must maintain an overall rating of four or higher, out of a possible five, as reviewed by travelers on TripAdvisor for at least 12 months. We at Wild Heart Adventures are absolutely thrilled to receive this accolade based on feedback from those who matter most…our Customers… Thank you. Treat yourself to a fantastic day of paddling delight as we explore the coastlines of DeCourcy and Link Islands. Located just minutes south of Nanaimo, this area offers sandy beaches, sheltered waters and a myriad of islands for our paddling delight. A perfect introduction for those of you who want to have a “taste” of sea-kayaking. Sea kayaking with orcas on Vancouver Island, Canada. Join us in our 30th year (WOW THIRTY YEARS!) as we explore by sea kayak watching Killer Whales and some of the finest paddling destinations and vacations in the world…all here on spectacular Vancouver Island, British Columbia. 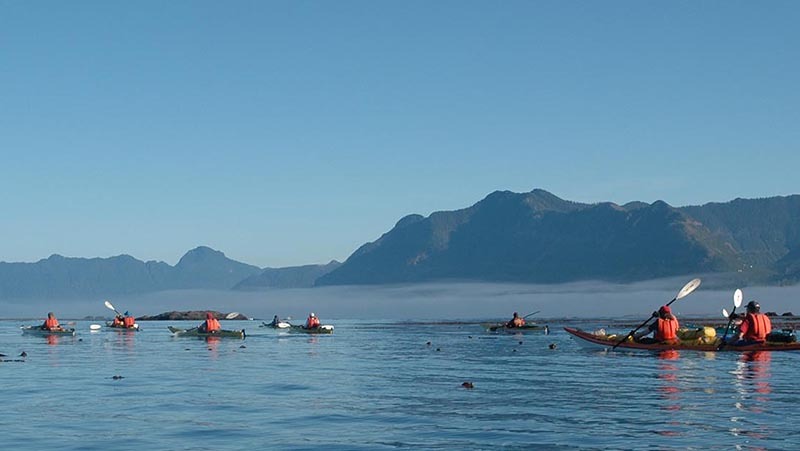 WILD HEART ADVENTURES offers a wide variety of different sea kayaking tours on Vancouver Island, each in an area with its own distinct attractions and splendor. Treat yourself and join us for the adventure of a lifetime!